Maureen Ewing was surrounded by her family when she peacefully passed away rather unexpectedly on May 27, 2015. “Mo”, as she was known among her friends and family, was born to Kenneth and Elizabeth Lott on May 26, 1937 in Amsterdam, NY. She was raised in the Village of Canajoharie, NY. After high school Maureen attended the State University of NY at Plattsburgh where she earned her Bachelors degree in 1959. Soon after, accompanied by her younger brother, she drove across country to California where she began her 37 year teaching career with the Goleta Union School District in 1961. She retired in 1998 from La Patera School where she taught for 27 years. One of many bright spots in Maureen’s life was being with family, friends, and colleagues. She loved spending afternoons at her favorite lunch spots with her dear friend of nearly 50 years, Jean Mora. Mo had a big heart and was known to befriend visitors to Santa Barbara and was delighted with the occasions of getting reacquainted with former students. Throughout her life Maureen enjoyed gardening, cooking, travelling and attending live concerts. She was an avid sports enthusiast. In her later years, she took a greater interest in providing for the birds that made their daily visits to her beautiful home. 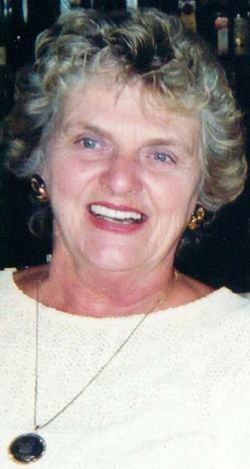 Maureen was a devoted daughter, mother, grandmother, aunt and friend to all who knew her. She was preceded in death by her parents Kenneth W. Lott (2011) and Elizabeth Gregg Lott (1986). Maureen is survived by her brothers Gregg Lott (Josie) of New Zealand and Kenneth “Skip” Lott (Lisa) of Clayton, CA, her daughter Lisa of Ventura, CA; and sons Todd (Kris) of Ventura, CA and David (Darleen) of Camarillo, CA; nephews Colton & Dillon; grandchildren Cayden, Ashlynn, Kelly, Cameron & Kyle; and cousins residing in Washington and New York. A celebration of Maureen’s life will be held at Stow Grove Park (Area 1) on June 14 at 12pm. The entire family would like to extend their gratitude to her physicians that looked after our beloved: Dr.’s Harris Gelberg, Jeffrey Kupperman, and Richard Danson and his staff. In lieu of flowers, the family requests that donations can be made to Visiting Nurse and Hospice Care of Santa Barbara or the charity of your choice.